Jo Randerson stares out from this edition of Red Light Means Stop: Six Super Solos from Aotearoa New Zealand, in which her play, Banging Cymbal and Clanging Gong, appears. BCCG, a 55 minute solo performance that chronicles the ups and downs of a 'ferral Barbarian at war', was written and performed at the Allen Hall Theatre in March 2001. According to Randerson's website, it is a 'wake-up call' for those who are asleep. During her tenure as a Burns Fellow, Randerson also wrote short fictions that were collected in The Keys to Hell (2004). Jo Randerson, 'Banging Cymbal, Clanging Gong', in Red Light Means Stop. Six Super Solos from Aotearoa New Zealand. Wellington: The Women's Play Press, 2003. 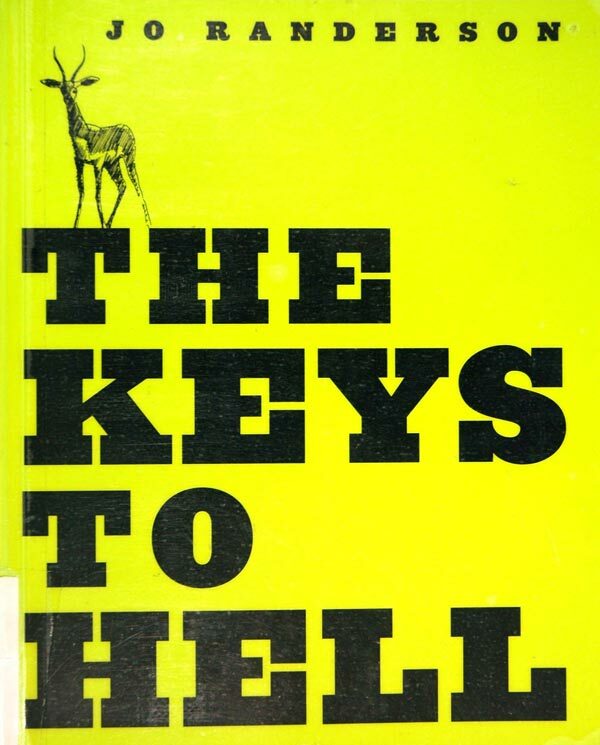 General PR 9636.37 W65 R947; ___, The Keys to Hell. Wellington: Victoria University Press, 2004. Bill Robertson Library 823 NZ RAN.